In the late 1990s, a veterinarian with a Ph.D. in canine nutrition and a food scientist started making what is now known as the NRG brands of pet food. The recipes use fresh ingredients from North American and Canadian farms that have been dehydrated using a special process the owners developed. The manufacturing location uses renewable energy, and shipping costs are lower because the dehydrated product weighs less than dry or wet food. Other NRG brands include NRG Original, Optimum, Pulse and True North Treats. Company: Smart Nutritional Research Group, Ltd. D.B.A. 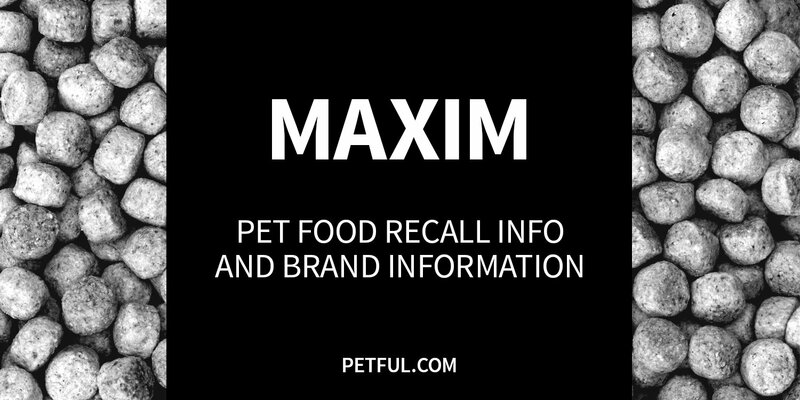 NRG Pet Products, Ltd.
Has Maxim Dog Food Ever Been Recalled? Have You Had a Problem With Maxim?